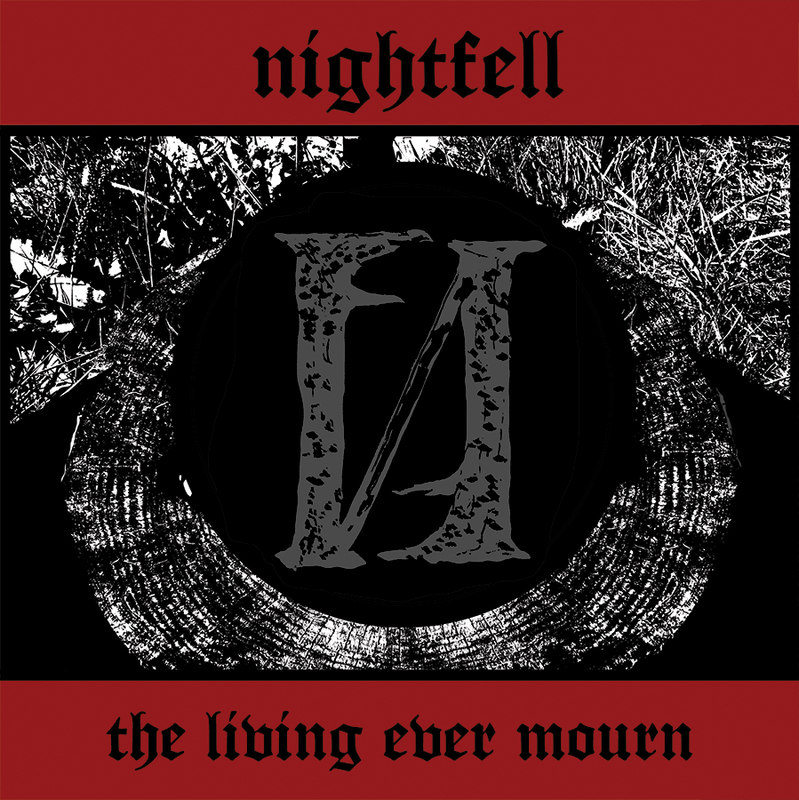 Portland’s Nightfell sees the marriage of Aldebaran, Mournful Congregation, His Hero Is Gone, and Tragedy members with Todd Burdette and Tim Call coming together to add another notch to their respective sonic belts with their debut LP, The Living Ever Mourn, unsurprisingly released through Southern Lord. On first glance, the broad spectrum of bands that Burdette and Call have in their repertoire may not make a lot of sense for one band, because let’s face it; Mournful Congregation and His Hero Is Gone are at two completely different ends of the spectrum but the band has tastefully meshed the differing fields into sound that’s woven together with threads of black metal. The band easily swerves in and out of different tempos, nodding to the MOs of their respective bands. Opener ‘The Last Disease’ opens with a mix of eerie guitars and war-marching drums before giving way to filthy crusty guitars that amble along at a cautious pace, reminiscent of mid-tempo Tragedy before slowly building in intensity. The riffs then begin to flirt with Mourning Beloveth-like guitars in the closing moments, which conveniently bookends the track. This is only the first song but it encapsulates the album quite well. ‘Empty Prayers’ is the tune that will garner the most attention though, being shamelessly ridden with traditional doom vibes, especially in the soaring clean vocals. The track also comes with one of the best false finishes you’re likely to hear this year. Closer, ‘Funeral Dirge’ opts for an altogether more “epic” vibe with towering lead guitars that give way to a gloomy mid-section soon disrupted by marching drums, which is a suitable nod back to the album’s opening moments. The Living Ever Mourn is a solid debut album that any band would be proud of. The band’s pedigree most likely ensured this, though it would be a stretch to say that The Living Ever Mourn is an essential debut album, especially in a year that’s been peppered with plenty. Not to mention, the band may end up suffering the “side-project” fate so the follow through is everything. One thing is for sure, Nightfell know what they’re doing. Tags: Nightfell. Bookmark the permalink.